Call the customer service team at Vanquis Bank on their UK telephone contact number 0330 099 3000 to apply for a credit card or for general enquiries about your existing account. For example you can call this helpline to upgrade to a gold card, to add an additional cardholder to your account and to cancel your card once you have paid off the outstanding balance. You should also dial this number for technical support when using the Vanquis online banking platform to make a balance transfer and to check on your statements, therefore if you have forgotten your user ID or your password you should call this customer care team. Furthermore you can phone this number to make an enquiry about your current credit score as this may affect your eligibility when applying for one of their financial products. The Vanquis credit card contact number 0330 099 3000 is open 8am-8pm Monday-Friday and 9am-5:30pm Saturday so please do not attempt to call them on Sundays. Calls to Vanquis are charged at standard UK local rates which are usually included in free minutes tariffs, however if you don’t have these free minutes you will pay your provider an access charge and a small per-minute rate which is variable depending on when you make the call. Contact Vanquis to make a payment towards your credit card bill by calling their automated QuickCall telephone number 01623 23 23 23 which is open 24 hours a day all year round. As well as paying off your bill you can phone this helpline to perform a balance transfer to move your money into a debit account or to pay for a shop item. Phone Vanquis Bank for free by dialling their freephone emergency contact number 0800 783 9003 to report your credit card as being lost or stolen. You should call this helpline as soon as you suspect your card is missing so that they can lock it, thus preventing criminals from fraudulently accessing your funds. You may also dial this number to track the progress of your replacement card through the post and to check which documents you need as ID to withdraw cash whilst you are without a physical card. If you are abroad when you lose your card you should call their international contact number +44 161 444 4495 to report it as missing, however unlike the UK service this is not free of charge and the exact cost will depend on which country you call them from abroad. Contact Vanquis Bank immediately if you are in financial difficulty by calling their dedicated phone number 0330 099 3002 where specially-trained advisors will sensitively provide assistance by extending your credit limit, delaying your payment date or restructuring your repayment plan. Please call them as quickly as possible as your assets may be at risk if you default on your monthly repayments. Once your new Vanquis credit card has arrived you can phone them for free on their UK contact number 0800 781 9660 to activate it so that you can purchase items in store as well as perform online purchases. 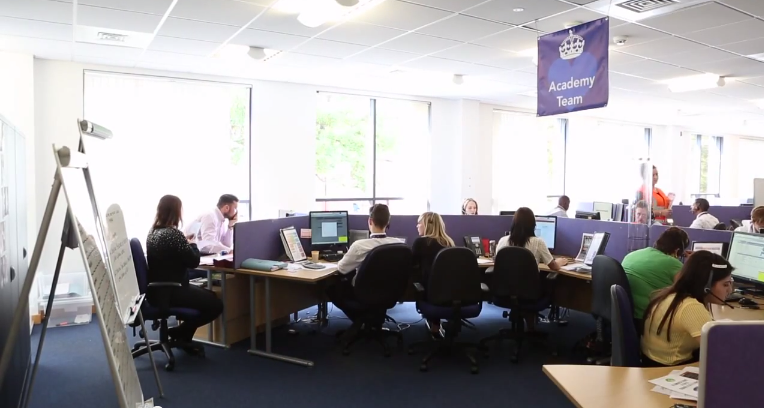 Lines are open 8am-9pm Monday-Friday and 9am-5:30pm Saturday therefore if you need to activate your card on a Sunday please call their 24-hour QuickCall automated service on 01623 23 23 23, however this helpline is charged at local rates. Contact Vanquis on their home insurance phone number 0330 102 6837 to get a quote for your property cover, to add your prized possessions to your contents policy and to notify them that you are moving home. If you wish to transfer your cover to a new address you may have to pay more if the property is of a higher value. Alternatively if you have to make a claim due to fire, burglary or flooding you should call the appropriate phone number from our summary table below, where you can also find contact details for renewing an existing Vanquis home insurance policy. Contact Vanquis to apply for a loan by calling their borrowing phone number 0333 003 5802, however your eligibility is dependent on what you are using the money for and your current credit score. You should also be aware that their loans may be secured against the value of your home so only borrow what you can afford to pay back. You can call this helpline to borrow more funds from the bank or to pay off your loan at an earlier date to avoid unnecessary APR interest charges. You should also be aware that they only offer loans to existing Vanquis customers so please only call this helpline if you own one of their credit cards or you are a savings accountholder. Enquire about Vanquis Bank savings bonds by calling their telephone contact number 0191 505 0033 to open a new account, to check the interest rates which affect how much your money will increase by and to check when you can withdraw funds without affecting your cumulative interest. You can also call this helpline to close your savings account once you have removed your money and to enquire about their other investment products, however some accounts may be more risky. Vanquis offer a range of different contact options partly because they do not offer physical branches unlike many other banks therefore you can get in touch with their customer service staff in writing by sending an email or by writing a letter. 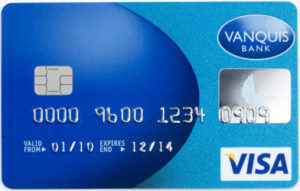 You can contact Vanquis Bank by writing to their UK customer service office using the postal address below, however please do not put any sensitive account information such as your credit card verification code (CVC) as this method of communication is not as secure as their telephone helplines. You can email Vanquis by sending your message to their online address customer.relations@vanquisbank.co.uk where you can include attachments such as shop receipts if you have been overcharged on your recent bill.